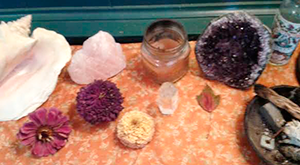 Self-care Journey Altar for class tonight. Next session begins November 3rd. Mondays 8-9:30, 6 week session, $75.